Be the first to share your favorite memory, photo or story of Arbeth. This memorial page is dedicated for family, friends and future generations to celebrate the life of their loved one. Cherryville - Mr. Arbeth D. Edwards, 87, passed away on Friday, November 23, 2018 at Carolina Care Health and Rehabilitation in Cherryville. Mr. Edwards was born on November 10, 1931 in Cleveland County, NC a son of the late Thompson Bridges Edwards and Edith Shull Edwards. He was retired from the textile industry and also enjoyed doing home improvements. Mr. Edwards was a member of First Baptist Church in Cherryville and a former member of Waco Baptist Church and the W.H. Dodd Sunday School class. In addition to his parents he was preceded in death by three wives, Doris, Dellie and Mary and two sisters, Patsy Carpenter and Joann Crump. Survivors include his two daughters, Debra McSwain and husband Tony; Denise Beam and husband Allen; two stepdaughters, Pam Owens and husband Tony all of Cherryville; Debbie Heavner and husband Joe of Vale; a brother, Tommy Edwards (Tracy) of Surfside Beach, SC; two sisters, Jeannie Parker (Rick) of Kannapolis; Rhonda Jones (James) of Surfside Beach; six grandchildren and nine great grandchildren. Visitation will be from 12:45 PM to 1:45 PM on Monday, November 26, 2018 at Waco Baptist Church. Funeral Services will be held at 2:00PM on Monday, November 26, 2018 at Waco Baptist Church with Dr. Harold Fite and Dr. Vince Hefner officiating. Burial will be in Capernaum Cemetery in Waco. Memorials may be made to Capernaum Cemetery Fund c/o Waco Baptist Church, PO Box 297 Waco, NC 28169. 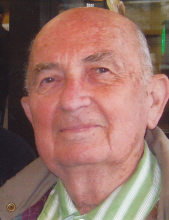 Stamey-Cherryville Funeral Home & Cremation Service is serving the family of Mr. Edwards. To plant a tree in memory of Arbeth D. Edwards, please visit our Tribute Store. "Email Address" would like to share the life celebration of Arbeth D. Edwards. Click on the "link" to go to share a favorite memory or leave a condolence message for the family.